Mohamad Salah’s incredible season ended on the lowest of notes as his shoulder injury ruled him out of the majority of the Champions League final and hampered his performance in the World Cup. The 26-year-old was simply sensational throughout the term and was extremely effective in the opening exchanges against Real Madrid before Sergio Ramos played the villain. His drag down of the forward would play a vital role in not only the Reds’ defeat, but Egypt’s failure to progress from the group stage at the World Cup in Russia. Salah returned from his shoulder injury for the second game after missing the opener against Uruguay, but could not stop his side falling to defeats to Russia and Saudi Arabia. The forward now must watch the rest of the competition from home while many of his teammates — including those playing for England, who are backed in the Betfair World Cup odds at 7/1 to win the crown — remain in Russia until at least the first week of July, Salah has time to rest and recuperate after his exertions in the last campaign. The last thing Jurgen Klopp would have wanted would be to see his superstar involved in a long run into the World Cup considering that he played over 50 matches last term. Klopp knows that at least one of his fearsome trio of attackers will be playing into the latter stages as Roberto Firmino continues to impress with Brazil, although Senegal’s failure to progress means that Sadio Mane’s return will come sooner rather than later. Given that there is only a month between the World Cup final and the start of the Premier League season, Klopp will want to ensure that his players are rested and prepared for the challenge ahead to close the gap to Manchester City at the top of the table. 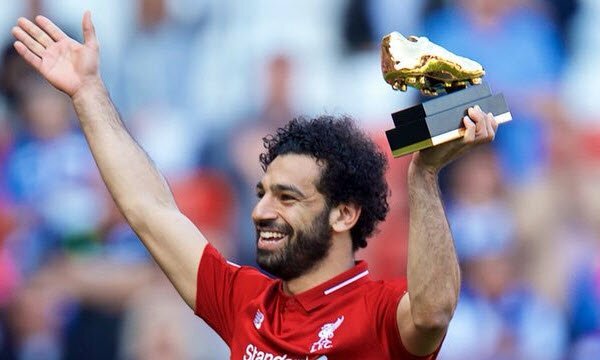 Salah’s 2017/18 term was off the charts, claiming the Golden Boot in the English top-flight with 32 strikes in 36 matches along with a further 11 in the Champions League. There is a slight danger that he could endure a second-season slump, especially if he’s feeling the effects of not only his shoulder injury but the long campaign that extended into the final week of May. Liverpool have made additions to the squad in the summer already adding Fabinho and Naby Keita in the middle of the park. And although that will be good news for Jordan Henderson, there’s not a great deal of depth behind Salah, Firmino and Mane in the final third. Either that will be all three will have to be fit and firing for August, or Klopp will have to rely on Dominic Solanke to play a prominent role alternatively the German could venture into the transfer market. Salah and Mane’s early returns mitigate the need for a move that could potentially disrupt the chemistry built up by the trio last season. Solanke’s development could not only be important for Liverpool to ease the burden on the front three, but also England in the future. A fast start is imperative to ensure that Liverpool are ready for a real challenge City this term and Salah has to be prepared for another long season. ← Naby Keita To Wear The Iconic No. 8 Jersey!